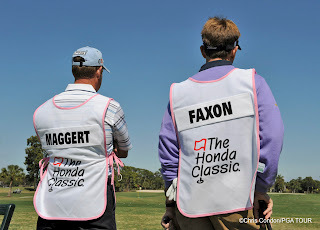 I drove to West Palm the week of the Honda Classic to shoot some fun stuff. 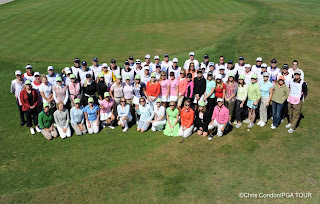 First was the TOUR Wives Charity Golf tournament. 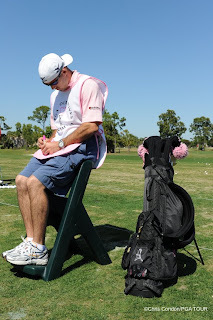 The wives played golf and the players caddied for them. It was a lot of fun and everyone had a great time. Jeff Maggert and Brad Faxon watch the ladies warm up. It just not South Florida without seeing Cranes and Byrds at play! OK, bad pun... Sorry This group did a little wardrobe planning, no? Best dressed, and "Most Honest". At about 1 AM I was awakened by the most loudest, most obnoxious noise which had me peeling myself off the ceiling! Fire alarm... Great. 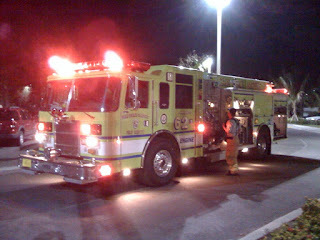 The WPFD showed up to check things out and then cleared us to go back to sleep. yeah right! My next assignment was to shoot a portrait of TOUR Rules Official Brad Fabel. 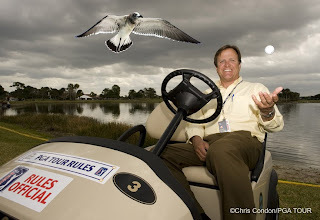 Brad is known for an incident at THE PLAYERS Championship in 1998 when a seagull picked his ball off the 17th green and then flew off dropping the ball in the water. Here is the first portrait. 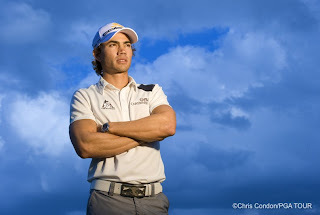 I thought the shot was lacking something... My final assignment was to photograph Camilo Villegas. The scheduling was tricky and I finally got him for about 5 minutes after his pro-am round and press conference. I got about 20 frames and fortunately they looked pretty good.